A joint site verification exercise was conducted in Baidoa in January 2019. The operation was led by CCCM partners, and included 36 participants from 3 government institutions, 5 INGOs, 3 NGOs, and 4 UN agencies. 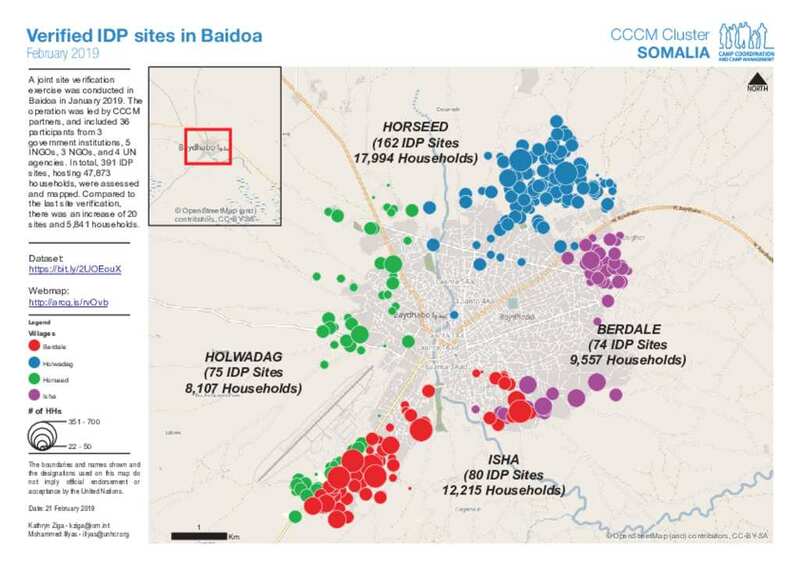 In total, 391 IDP sites, hosting 47,873 households, were assessed and mapped. Compared to the last site verification, there was an increase of 20 sites and 5,841 households.